Travel through the rich farmland of the Waikato for a delicious lunch and warm country hospitality. After lunch, travel to one of New Zealand`s most unique attractions, the famous Waitomo Caves. Here you will be guided through the long galleries and lofty chambers to view stalactites and stalagmites formed over thousands of years by the constant dripping of water. Your tour is illuminated by thousands of tiny lights emitted by the glow-worms, suspended from the cave ceiling. Rejoin your coach for the return journey back to Auckland. Assemble at Changi Airport to take your scheduled flight to Christchurch. Travel across the Canterbury Plains through Timaru and Oamaru Ranges to reach Dunedin in the early afternoon. The rest of the day is free for optional activities, such as Wildlife Cruises and the Taieri Gorge Train ride. Today, we shall leave Dunedin and head towards Queenstown. We shall cross the Blue Mountains to Raes Junction and follow the Clutha River into Queenstown. The rest of the day is free for you to take up some optional activities or a visit to the Sky Alpine Casino. This morning, follow Lake Wakatipu via Kingston arriving at Te Anau. From here, you will enter Fiordland National Park. Travel through beech forest, passing majestic mountains, on through the Homer Tunnel in time to board your catamaran for the Milford Sound Cruise. You will pass Mitre Peak, the highest mountain in the world to rise vertically from the sea. View the Stirling and Bowen Falls as you cruise out to the Tasman Sea. Return to the pier where you reboard your coach for your return journey to Queenstown. 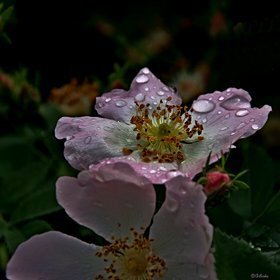 This is completely free day for you to pursue your own activities. Queenstown offers Jet Boating, Lake Cruise, Bungy Jumping, Rafting, Horse Riding, Gondola Rides and may be a visit to the SkyAlpine Casino. For the young, why not join a return scenic cruise to the Walter Peak High Country Farm on board the vintage steamship TSS Earnslaw. Highlights include watching the farm administrator shear a sheep. Travel to the Kawarau Gorge past Lake Dunstan towards Wanaka. After passing Lake Hawea, as we head towards "the neck", a stop is made in Makarora before crossing the Southern Alps, entering into Haast Pass. We shall pause at Knights Point to view the magnificent seascapes. From here, we shall pass Lake Moeraki and Paringa then pass Bruce Bay to arrive at the Glaciers region in the evening. Travel along the coast to Greymouth to join the Tranz Alpine Express acoss the Southern Alps to Christchurch. After breakfast, free at leisure until the time to proceed to the airport for your return flight back to Singapore. Assemble at Changi Airport to take your scheduled flight to Auckland, the City of Sails. Upon arrival at Auckland airport, meet and greeted by our representative coach captain and transfer you to the hotel. Free and Easy day to explore the beautiful city of Auckland. Today, the coach will travel over the rugged volcanic terrain of the Mamaku Ranges and through the picturesque Fitzgerald Glade. The highlight is the Waitomo Glow Worm Caves and the visit is climaxed by drifting silently in a boat on the underground river under the milky way of millions of glow worms on the cavern roof above you. This evening, enjoy a night of truly authentic, traditional culture and entertainment. Join in a time of sharing and feasting to a selection of foods cooked the traditional Maori way on hot stones in an authentic earthen oven. Today's activities include Te Puia - Thermal Reserve to see roaring geysers and mud pools. Following this, you will travel to Rainbow Springs to view trout and other wildlife and the famous Agrodome Sheep Show. You will meet your friendly farm host and taken to the farm. At the farm you will have the opportunity to experience the working life of a New Zealand farmer. Later tonight you will be hosted to a typical. After breakfast, you will be dropped off at the coach terminal to be taken to the airport for your flight to Christchurch. 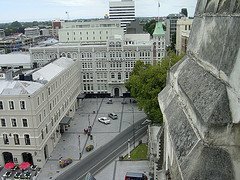 Upon arrival at Christchurch, you will meet our friendly guide and will be transferred to the hotel. Rest of the day will be at own leisure. Travel south across the Canterbury Plains through Timaru and Oamaru to reach Dunedin in the early afternoon. Rest of the afternoon is free for optional activities, such as Wildlife Cruises and the Taieri Gorge Train ride. This morning will be free for optional activities such as visiting Larnach Castle or the Royal Albatross Colony. We head for Te Anau in the afternoon, gateway to Fiordland National Park. Today, we will pass forest and lakes to reach Milford Sound. The cruise travels the full length of Milford Sound to the Tasman Sea. Enjoy the waterfalls, rainforest, mountains and wildlife. You will pass Mitre Peak, the highest mountain in the world to rise vertically from the sea. View the Stirling and Bowen Falls as you cruise out to the Tasman Sea. Return to the pier where you reboard your coach for your return journey to Queenstown. We depart this morning through the South Westland Heritage Park and across the rugged Haast Pass and Lake Wanaka. This afternoon's travel is through the Kawarau Gorge to reach Queenstown. This morning, we will travel over the Lindis Pass to reach Mt Cook around lunch time. A rare opportunity will be given to take an optional scenic flight to view Mt Cook's snow fields and glaciers. We continue through to Lake Tekapo and across the Canterbury Plains to Christchurch. Itinerary sequence may be subjected to change without prior notice. Above prices valid from 1st October 2013 to 30 October 2014. Prices are for reference only and may be subjected to change depending on class of seat available. Prices exclude airport taxes or any surcharges that may be applicable. Today's activities include Te Puia - Thermal Reserve to see roaring geysers and mud pools. Following this, you will travel to Rainbow Springs to view trout and other wildlife and the famous Agrodome Sheep Show. The rest of the afternoon is free for optional tours. After breakfast, you will be dropped off at the coach terminal to be taken to the airport for your flight to Queenstown. Upon arrival at Queenstown, you will meet our friendly guide and will be transferred to the hotel. Rest of the day will be at own leisure. This is completely free day for you to pursue your own activities. Queenstown offers Jet Boating, Lake Cruise, Bungee Jumping, Rafting, Horse Riding, Gondola Rides and may be a visit to the Sky Alpine Casino. Today's activities includes Te Puia - Thermal Reserve to see roaring geysers and mud pools. Following this, you will travel to Rainbow Springs to view trout and other wildlife and the famous Agrodome Sheep Show. A ride on the Gondola up to Mt Ngongataha for a buffet lunch and for the more courageous ones a ride on the "Luge". Departing Wellington we head south via Lake Taupo and the Tongariro National Park to Levin and onto Wellington, New Zealand's capital. Today we cross the Hope Saddle to Kawatiri Junction before entering the Buller Gorge and following the Buller River to Westport. We view the amazing Pancake Rock Formations at Punakaiki and then on to Greymouth, nestled on the banks of the Grey River. Continue southwards by coach along the coast to reach Westland National Park and the glacier regions. A full day at leisure to enjoy the magnificent glaciers. Climb on to the slow moving river of ice or take an optional scenic flight for a bird's eye view of this spectacular terrain. Cruise on the vintage "Old Lady", the TSS Earnslaw, to Walter Peak High Country Farm for an excursion of the Colonel's Homestead. Watch sheep shearing. New Zealand Specialist has prepared some of the most comprehensive tours available. Depart Singapore for New Zealand Tour. 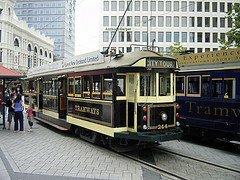 On arrival in Christchurch - The South Island’s largest city, Christchurch is an entertaining mixture of refined lifestyle and cultural excitement, you will be transferred to your hotel. The tranquil Avon River meanders through the city and adjacent Hagley Park, historic buildings house a lively arts community and restored trams make it easy for visitors to get around. Heritage sites, museums and art galleries, Tram &amp; Botanic Garden and enjoy the highly developed restaurant scene you may like to visit after check in. Hotel: Cotswold Hotel or similar. Travel by road to Mount Cook, Australasia's highest mountain, through the spectacular scenery of the Canterbury Plains, the foothills of the Southern Alps from Geraldine to Fairlie and through the MacKenzie Basin, with its brown snowgrass-covered landscape which has an almost desert like aspect to Lake Tekapo. Obtain an idyllic photograph of the Church of the Good Shepherd on Lake Tekapo with its backdrop of magnificent alpine scenery. Next to Lake Pukaki where the Tasman Valley opens into the MacKenzie Basin with Mount Cook and the surrounding snow covered peaks in the background. 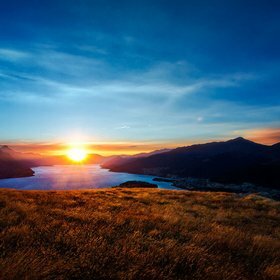 Follow journey to Queenstown - is an internationally recognized four seasons alpine and lake resort. With a wide variety if things to see and do, it is perfect for adventurers and leisure seekers alike. Hotel: A-Line Hotel or similar. The Wilderness Safari takes you on a spectacular 1 1⁄2 hour Jet Boat journey through the Dart’s ever-changing braided river system, where you’ll be thrilled by our Jet Boat's capabilities including jet spins and awed by your surroundings of breathtaking snow-capped mountains, ancient native forest, waterfalls and glacial valleys frozen in time. It includes an easy guided 30 - 40 minute walk through the Heritage Trail at Paradise, where your knowledgeable guide will enliven your walk with an informative and entertaining commentary about the ancient native beech forest, the unique flora and fauna, as well as the fascinating Maori and colonial history of the area. You‘ll also journey by 4WD coach via a scenic back-road route, while hearing stories about the surrounding countryside and stopping to view scenery that has formed the epic backdrop for many international films, including ‘The Lord of the Rings’. Milford Sound is simply stunning. It is a natural wonder of world fame. In Maori legend, the fiords were created not by rivers of ice, but by Tu Te Raki Whanoa, a godly figure who came wielding a magical adze and uttering incantations. Milford Sound (Piopiotahi) is without doubt his finest sculpture. Whatever the fiord’s mood - teeming with rain or with sun glistening on deep water - it will inspire you. Nowhere else in Fiordland do the mountains stand as tall, straight out of the sea. In the foreground of the fiord stands the legendary Mitre Peak, a remarkable presence dominating the skyline. The Milford Road (between Te Anau and Milford) travels through some of the world’s most impressive alpine scenery Our experienced drivers love sharing some of the breathtaking highlights and there is plenty of time for photo opportunities. Today you will travel by coach into Mount Aspiring National Park (established in 1964) is a wonderful mixture of remote wilderness, high mountains and beautiful river valleys. It is a walker's paradise and a must for mountaineers. The views are endless and unforgettable. The park is part of Te Wahipounamu - Southwest New Zealand World Heritage Area. Into The West Coast region is located on the west coast of the South Island of New Zealand. 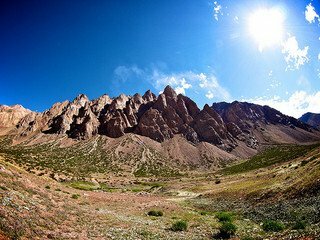 It is one of the more remote and sparsely populated areas of this beautiful land with just over 30,000 inhabitants (2001 census) living peacefully on a land area of more than 23,000 km2. A country of contrasts, New Zealand boasts two of the world’s most accessible glaciers. Whether you just want a peek or want to thrust an ice axe in to a peak, Franz Josef and Fox Glaciers give visitors an amazing opportunity to view these ancient giants firsthand. The Fox Glacier offers a different type of glacier experience than the Franz Josef Glacier, and visitors are increasingly booking activities on both glaciers during their visit to Glacier Country. Local companies provide access to the Fox Glacier with guided walks, heli-hikes and scenic flights (with or without snow landings). Fox Glacier is also internationally renowned for Lake Matheson’s stunning reflections of Aorangi/Mount Cook and Mount Tasman. Hotel: Glacier Country Hotel or similar. For a truly "out of this world" experience... it's Balloon Adventures Up Up and Away! After more than 15 years experience and 50,000 satisfied passengers, their enthusiasm is still on the rise, just like their balloons over the Canterbury Plains. Hands on experience in helping set up the balloon leaves each traveller feeling as though they have really participated in creating their spectacular memories. You will be transferred to airport for your home sweet home. On arrival in Christchurch - The South Island’s largest city, Christchurch, take a short walk to International Antarctic Centre. After your Hagglund Ride, you will be transferred to your hotel. 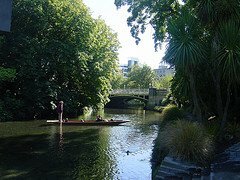 The tranquil Avon River meanders through the city and adjacent Hagley Park, historic buildings house a lively arts and restored trams make it easy for visitors to get around. Heritage sites, museums and art galleries, Tram &amp; Botanic Garden and enjoy the highly developed restaurant scene you may like to visit after check in. Hotel: Cotswold Hotel or similar. Puzzling World is a world unique attraction that has been entertaining families of all ages to Wanaka for over 35 years. Challenge yourself in the 3-D Great Maze – Kids love to take on their parents to see who will be the first to find the 4 Towers then the Exit! Don’t worry there are emergency doors for those with limited time, patience or energy! Nourish the family in our Puzzle Centre/Café - when trying out the puzzles, look up and you’ll see a Mirrored Ceiling that acts as a giant kaleidoscope! You’ll be astonished by the Illusion Rooms, astounded by the Holograms &amp; confounded by the Puzzles. Using the Toilets here is a must – you’ll find out why! Other optional – Cardrona Adventure, Wilderness Adventure, Kidz Go, Backcountry Adventure, Skydive, etc. Milford Sound is simply stunning. It is a natural wonder of world fame. In Maori legend, the fiords were created not by rivers of ice, but by Tu Te Raki Whanoa, a godly figure who came wielding a magical adze and uttering incantations. Milford Sound (Piopiotahi) is without doubt his finest sculpture. Whatever the fiord’s mood - teeming with rain or with sun glistening on deep water - it will inspire you. Nowhere else in Fiordland do the mountains stand as tall, straight out of the sea. In the foreground of the fiord stands the legendary Mitre Peak, a remarkable presence dominating the skyline. The Milford Road (between Te Anau and Milford) travels through some of the world’s most impressive alpine scenery. Our experienced drivers love sharing some of the breathtaking highlights and there is plenty of time for photo opportunities. The Wilderness Safari takes you on a spectacular 1 1⁄2 hour Jet Boat journey through the Dart’s ever-changing braided river system, where you’ll be thrilled by our Jet Boat's capabilities including jet spins and awed by your surroundings of breathtaking snow-capped mountains, ancient native forest, waterfalls and glacial valleys frozen in time. It includes an easy guided 30 - 40 minute walk through the ‘Heritage Trail’ at Paradise, where your knowledgeable guide will enliven your walk with an informative and entertaining commentary about the ancient native beech forest, the unique flora and fauna, as well as the fascinating Maori and colonial history of the area. You‘ll also journey by 4WD coach via a scenic back-road route, while hearing stories about the surrounding countryside and stopping to view scenery that has formed the epic backdrop for many international films, including ‘The Lord of the Rings’. You will be transferred to coach depot &amp; then travel up north over the Lindis Pass to reach Mt. 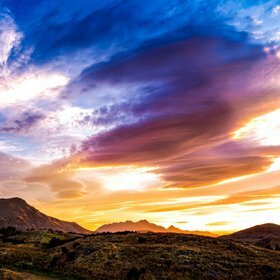 Depart Queenstown and travel through the rugged and beautiful landscape of Otago. Cross the Lindis Pass into the Mackenzie Country to visit Mount Cook Village at the base of New Zealand's highest mountain Aoraki / Mount Cook. Here there is time to experience an optional scenic helicopter or skiplane flight with a snow landing (weather permitting). At 3754 metres, New Zealand's highest mountain, Aoraki Mount Cook is dazzling, yet there are 27 other mountains in this alpine backbone which peak at over 3050 metres, and hundreds of others not far short of that – all making up the famous Southern Alps. Continue your journey via the Church of the Good Shepherd on the shores of Lake Tekapo, before continuing to your destination of Christchurch. Hotel: Cotswold Hotel or similar. Join us on the Lord of the Rings Tour and journey to the remote and beautiful Mt. Potts high country station, home of Mt. Sunday; and see how this peaceful mountain was transformed into Edoras, the capital city of the Rohan people in the Lord of the Rings trilogy. Immerse yourself in the natural, unspoilt beauty of this breathtaking area with its sparkling clear lakes, glistening blue rivers and fresh, crisp mountain air. This amazing day includes 4WD access onto Mt. Sunday/Edoras itself, a delicious champagne picnic lunch, full running commentary from our friendly and knowledgeable kiwi tour guides and spectacular scenery you will never forget.